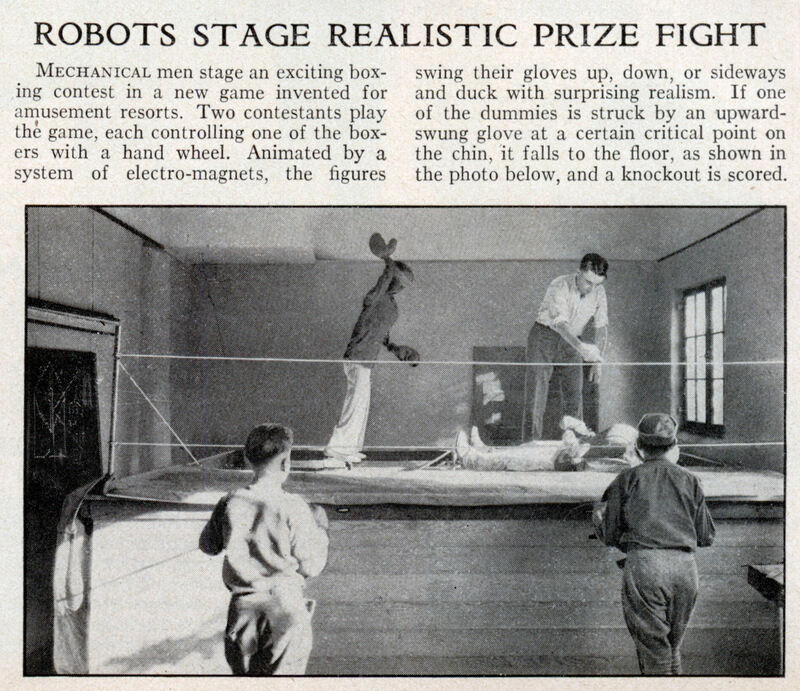 Mechanical men stage an exciting boxing contest in a new game invented for amusement resorts. Two contestants play the game, each controlling one of the boxers with a hand wheel. 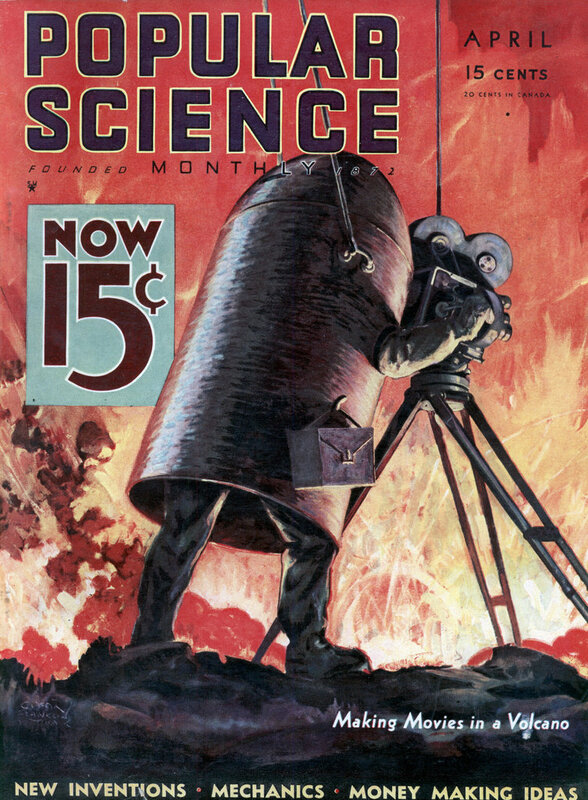 Animated by a system of electro-magnets, the figures swing their gloves up, down, or sideways and duck with surprising realism. If one of the dummies is struck by an upward-swung glove at a certain critical point on the chin, it falls to the floor, as shown in the photo below, and a knockout is scored. A very, very, very early version of Wii Boxing!